Bay Bridge Cove is a 55+ community located in Stevensville, Maryland. This active adult development will consist of just 273 attached homes that come in a variety of styles and will have luxurious interiors and energy-efficient designs. Residents will also have a well-appointed clubhouse with amenities that will help keep them physically active and socially engaged. Being ideally situated on Kent Island allows active adults to enjoy coastal living with easy access to nearby beaches, marinas, as well as entertainment and attractions. This age-restricted community will provide all of the amenities active adults could want or need in one place. Plans include a well-appointed clubhouse that will feature social spaces like a meeting room. It will also offer outdoor recreational areas such as an outdoor pool and patio. Neighbors will be able to challenge each other on the tennis court or enjoy scenic strolls along the community's walking and biking trails. There will also be plenty of parks and natural space for getting some fresh air or just enjoying a sunny day. McKee Builders began construction of Bay Bridge Cove in 2016 and plans to offer 273 attached homes upon completion. Active adult homebuyers can choose from four distinct floor plans that range in size from approximately 1,419 to 1,707 square feet. They have two or three bedrooms, two or three bathrooms, and an attached one or two-car garage. Some homes feature optional second-floor lofts, Energy Star construction, thoughtfully designed kitchens, spacious master suites, low-maintenance exteriors, and luxurious finishes. An exciting lifestyle awaits residents of Bay Bridge Cove. This 55+ community will have an amenity-filled clubhouse that will provide great clubs and events to keep like-minded adults busy and entertained any day of the week. Homeowners will be able to stay active outdoors by playing on the tennis court or swimming laps in the pool. They will also have plenty of options to socialize and mingle with other neighbors at the clubhouse. As the neighborhood continues to grow with more homeowners, Bay Bridge Cove will offer additional organized groups and activities that cater to all interests. 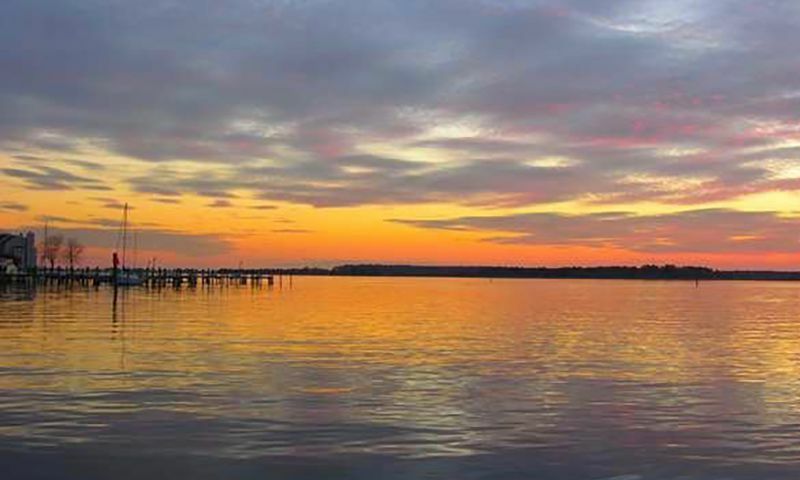 Ideally situated on Kent Island in Maryland, residents enjoy a prime location that's close to great attractions and entertainment as well as daily necessities. Active adults are just a few minutes away from the Chesapeake Bay Bridge that makes it easy to commute to Annapolis, Baltimore, and Washington D.C. Just outside of the community's entrance, residents will find a Kmart, Thompson Creek Shopping Center, gas station, grocery store, and plenty of restaurants. Easy access to healthcare facilities can be found at Johns Hopkins Community Physicians that is ten minutes away. Residents are close to the beautiful beaches along the eastern sea shore such as Terrapin Beach Park. Golfers can visit Queenstown Harbor Golf Course that's 20 minutes away. When traveling farther is necessary, Baltimore/Washington International Airport is about 40 minutes away. Active adults will love calling Bay Bridge Cove home in Stevensville, MD. There are plenty of activities available in Bay Bridge Cove. Here is a sample of some of the clubs, activities and classes offered here. 55places.com is not affiliated with the developer(s) or homeowners association of Bay Bridge Cove. The information you submit is distributed to a 55places.com Partner Agent, who is a licensed real estate agent. The information regarding Bay Bridge Cove has not been verified or approved by the developer or homeowners association. Please verify all information prior to purchasing. 55places.com is not responsible for any errors regarding the information displayed on this website.